95 sqm Modern Open Plan Office New 5 Year Lease with 5 Year Option 3% or CPI Annual Increases Review to Market at Option Security Bond Deprecation Schedule in Place 2 Secured Under Cover Car Parks Substantial Sinking Fund 8 Year Old Multi Story Mixed Use Building Modern Fit Out with Glass Boardroom Reception Kitchenette Great Natural Light Full Security with Key Pad Intercom Dedicated Commercial Lift To contact the selling agents Trevor Nelson Jones 0407 736 521 and Tony Crompton 0411 882 478 please. Ray White Commercial (Queensland) are pleased to exclusively offer Level 5, Wickham House, 155 Wickham Terrace, Spring Hill QLD for sale by Expressions of Interest. 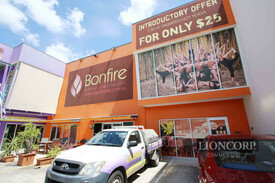 This offering represents the opportunity to purchase a 251sqm full floor, part tenanted office. 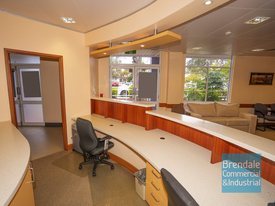 This office is comprised of five tenancies, three of which are leased and two tenancies are currently vacant. The vacant tenancies can be either owner occupied or leased. Also available for sale is Office 4A which is a 111sqm office/medical suite (half floor) available for purchase as vacant possession. Building Highlights include: 100m walk to Central Station Low outgoings Spacious offices/rooms with up to 3m ceilings Impressive decorative finishes with ornate mahogany and teak panelling Exceptionally good natural light with CBD views End of trip facilities available (shower, bike racks and lockers) The level of detail that this building offers is truly one of a kind and will impress both clients and staff. Ray White Commercial is pleased offer to the market for sale lease an exciting new retail space in the heart of the Petrie Town Centre situated at 6 10 Whites Road, Petrie. Currently under construction and due for completion by May 2019 this 61 sqm retail unit is part of a mixed use development featuring 28 units and 354 sqm of ground floor retail space. As the first new project under construction in the Mill Central Precinct of The Mill Priority Redevelopment Area, this project is centrally located in the heart of the Petrie Town Centre as well as the proposed future Mill Central area envisioned by the Moreton Bay Regional Council to be a reinvigorated modern urban centre for commercial and retail activity. Situated between the Petrie Town Centre at the intersection of the busy Gympie Dayboro Roads and Anzac Avenue and the Petrie Train Station the property is ideally located to benefit from passing traffic. The property is also perfectly situated to benefit from the opening of the University of the Sunshine Coast Petrie Campus at The Mill in 2020 which is expected to accommodate 10,000 students by 2030 growing to 20,000 at full operation. The developer is offering generous terms for the right business to move in, giving you a great opportunity to benefit from the future growth of the surrounding area which can help take your business to the next level. For further information, please contact exclusive agent Peter Laurent from Ray White Commercial. Ray White Commercial is pleased offer to the market for sale lease an exciting new retail space in the heart of the Petrie Town Centre situated at 6 10 Whites Road, Petrie. Currently under construction and due for completion by May 2019 this 66 sqm retail unit is part of a mixed use development featuring 28 units and 354 sqm of ground floor retail space. 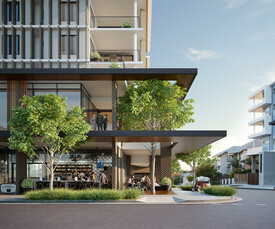 As the first new project under construction in the Mill Central Precinct of The Mill Priority Redevelopment Area, this project is centrally located in the heart of the Petrie Town Centre as well as the proposed future Mill Central area envisioned by the Moreton Bay Regional Council to be a reinvigorated modern urban centre for commercial and retail activity. Situated between the Petrie Town Centre at the intersection of the busy Gympie Dayboro Roads and Anzac Avenue and the Petrie Train Station the property is ideally located to benefit from passing traffic. The property is also perfectly situated to benefit from the opening of the University of the Sunshine Coast Petrie Campus at The Mill in 2020 which is expected to accommodate 10,000 students by 2030 growing to 20,000 at full operation. The developer is offering generous terms for the right business to move in, giving you a great opportunity to benefit from the future growth of the surrounding area which can help take your business to the next level. 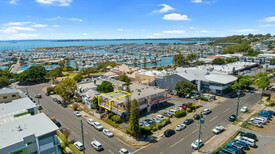 For further information, please contact exclusive agent Peter Laurent from Ray White Commercial. Ray White Commercial is pleased offer to the market for sale lease an exciting new retail space in the heart of the Petrie Town Centre situated at 6 10 Whites Road, Petrie. Currently under construction and due for completion by May 2019 this 74 sqm retail unit is part of a mixed use development featuring 28 units and 354 sqm of ground floor retail space. As the first new project under construction in the Mill Central Precinct of The Mill Priority Redevelopment Area, this project is centrally located in the heart of the Petrie Town Centre as well as the proposed future Mill Central area envisioned by the Moreton Bay Regional Council to be a reinvigorated modern urban centre for commercial and retail activity. Situated between the Petrie Town Centre at the intersection of the busy Gympie Dayboro Roads and Anzac Avenue and the Petrie Train Station the property is ideally located to benefit from passing traffic. The property is also perfectly situated to benefit from the opening of the University of the Sunshine Coast Petrie Campus at The Mill in 2020 which is expected to accommodate 10,000 students by 2030 growing to 20,000 at full operation. The developer is offering generous terms for the right business to move in, giving you a great opportunity to benefit from the future growth of the surrounding area which can help take your business to the next level. For further information, please contact exclusive agent Peter Laurent from Ray White Commercial. 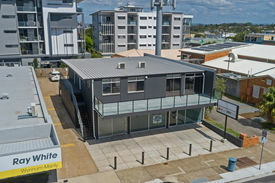 Ray White Commercial (Queensland) are pleased to exclusively offer Office 4A, Wickham House, 155 Wickham Terrace, Spring Hill QLD for sale by Expressions of Interest. This offering represents the opportunity to purchase with vacant possession a 111sqm office/medical suite (half floor). Also available for sale is Office 5 a 251sqm full floor, part tenanted office. This office is comprised of five tenancies, three of which are leased and two tenancies are currently vacant. The vacant tenancies can be either owner occupied or leased. Building Highlights include: 100m walk to Central Station Low outgoings Spacious offices/rooms with up to 3m ceilings Impressive decorative finishes with ornate mahogany and teak panelling Exceptionally good natural light with CBD views End of trip facilities available (shower, bike racks and lockers) The level of detail that this building offers is truly one of a kind and will impress both clients and staff. This property is being sold by Expressions of Interest or without a price and therefore a price guide can not be provided. The website may have filtered the property into a price bracket for website functionality purposes. Ray White Commercial is pleased offer to the market for sale lease an exciting new retail space in the heart of the Petrie Town Centre situated at 6 10 Whites Road, Petrie. Currently under construction and due for completion by May 2019 this 76 sqm retail unit is part of a mixed use development featuring 28 units and 354 sqm of ground floor retail space. As the first new project under construction in the Mill Central Precinct of The Mill Priority Redevelopment Area, this project is centrally located in the heart of the Petrie Town Centre as well as the proposed future Mill Central area envisioned by the Moreton Bay Regional Council to be a reinvigorated modern urban centre for commercial and retail activity. Situated between the Petrie Town Centre at the intersection of the busy Gympie Dayboro Roads and Anzac Avenue and the Petrie Train Station the property is ideally located to benefit from passing traffic. The property is also perfectly situated to benefit from the opening of the University of the Sunshine Coast Petrie Campus at The Mill in 2020 which is expected to accommodate 10,000 students by 2030 growing to 20,000 at full operation. The developer is offering generous terms for the right business to move in, giving you a great opportunity to benefit from the future growth of the surrounding area which can help take your business to the next level. For further information, please contact exclusive agent Peter Laurent from Ray White Commercial.